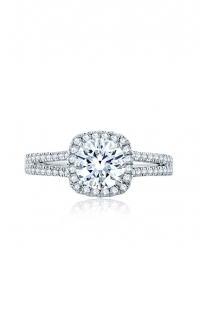 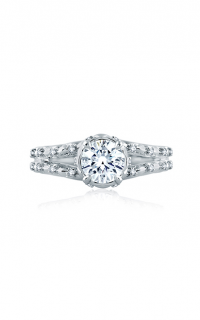 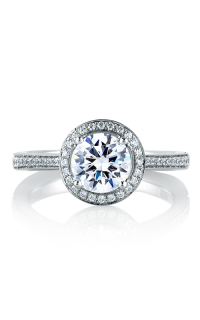 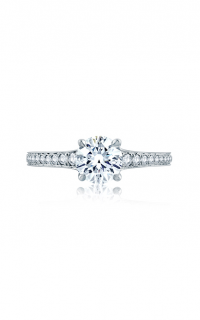 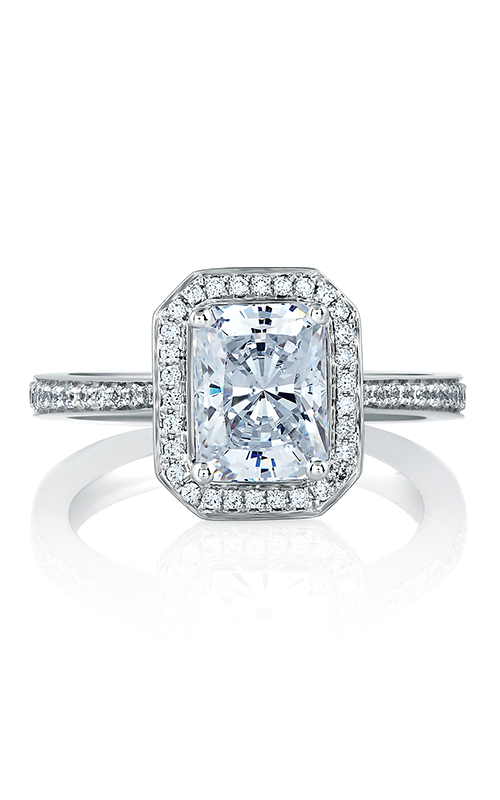 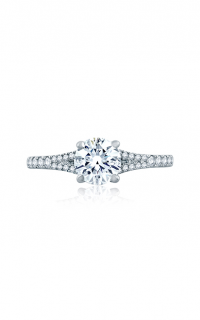 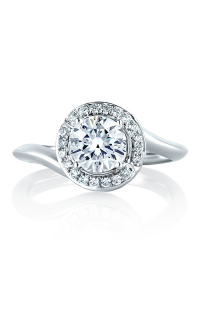 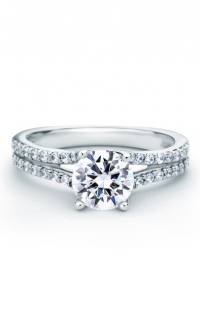 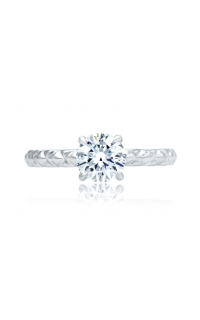 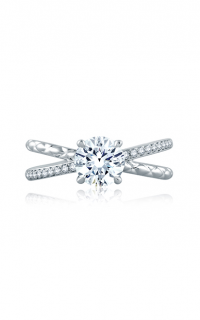 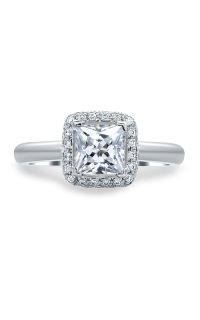 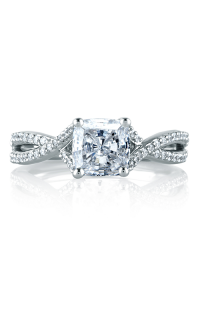 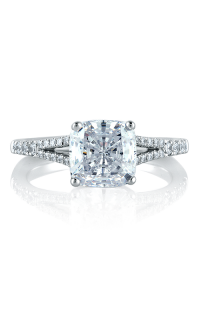 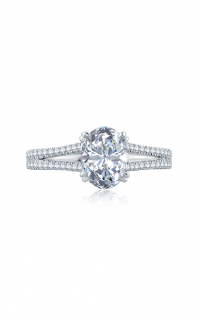 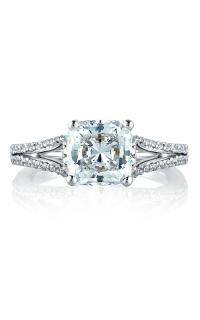 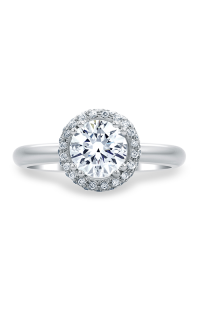 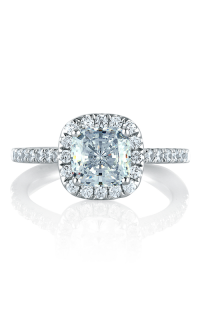 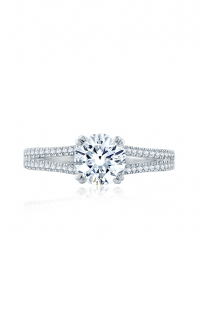 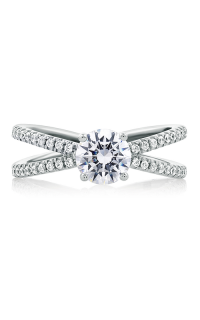 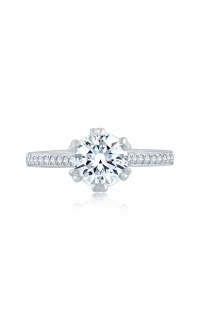 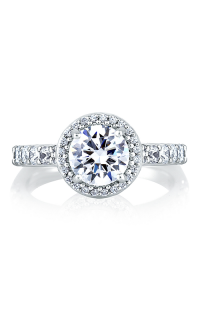 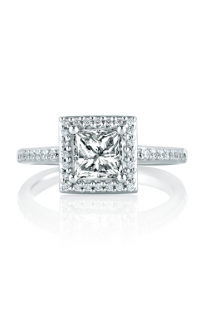 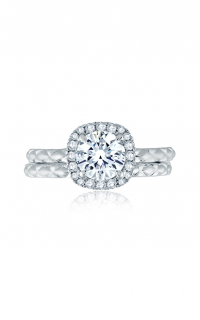 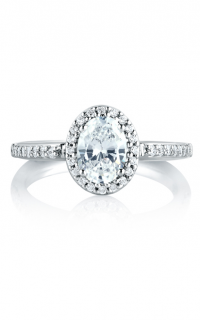 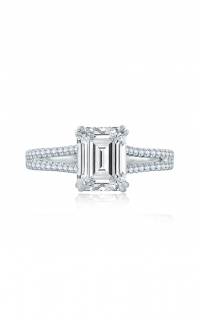 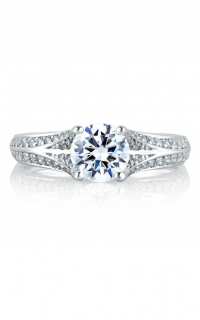 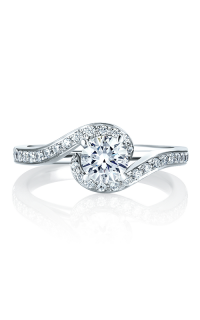 Model number MES597-186 is a part of the Metropolitan collection from A. Jaffe and is sure to take her breath away. 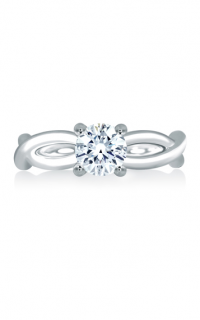 Begin your journey together with this Halo that is harmoniously crafted from Platinum, 18k rose gold. 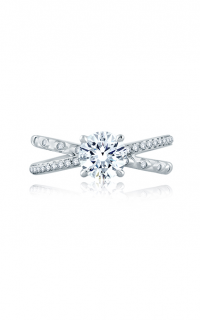 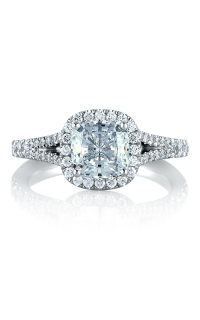 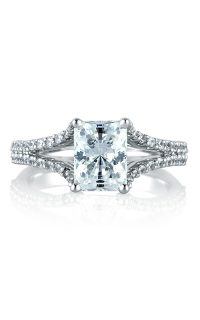 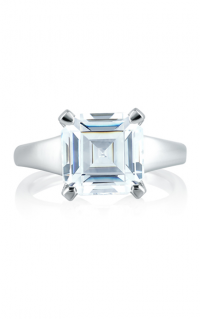 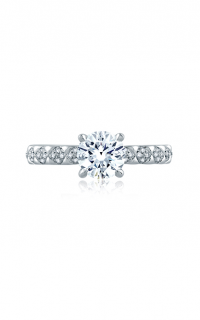 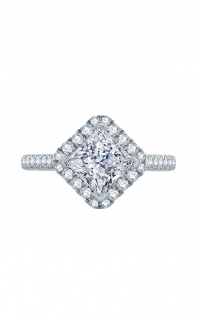 Find yourself enchanted by the Emerald shaped diamond as the center stone upon a Prong setting. 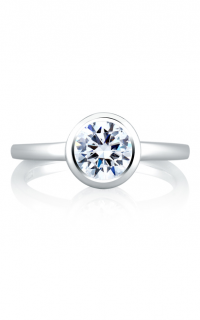 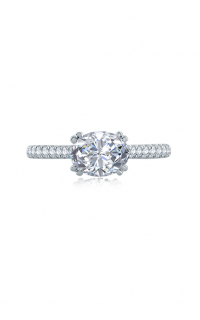 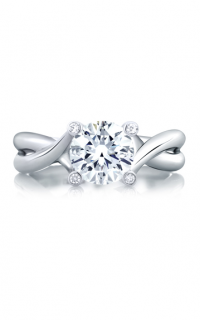 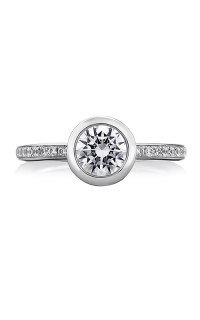 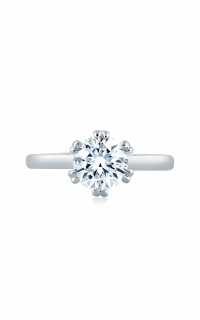 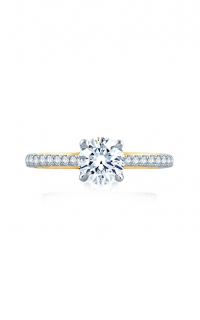 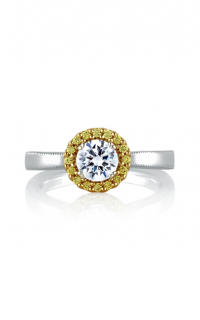 Complimenting this classy piece are Round diamonds that travel 1/2 way down the side within a Pave setting.